Messages from Nature. If we pay attention to nature, we can receive answers and guidance in one of the most ancient and trusted ways. ? Big decisions? Bigger troubles? Fork in the road, which way to go? Missing something? All of these questions we each have at various times in life have choices to be made. We want a little more guidance, assurance or information to take the path our soul desires. A path in harmony with achieving not just results, but fulfillment. Nature is at the ready and streaming messages all day long through willing beings. Just like this snake crossing my path at the very time when I was needing to make choices that would certainly transform my personal life and partner relationship. 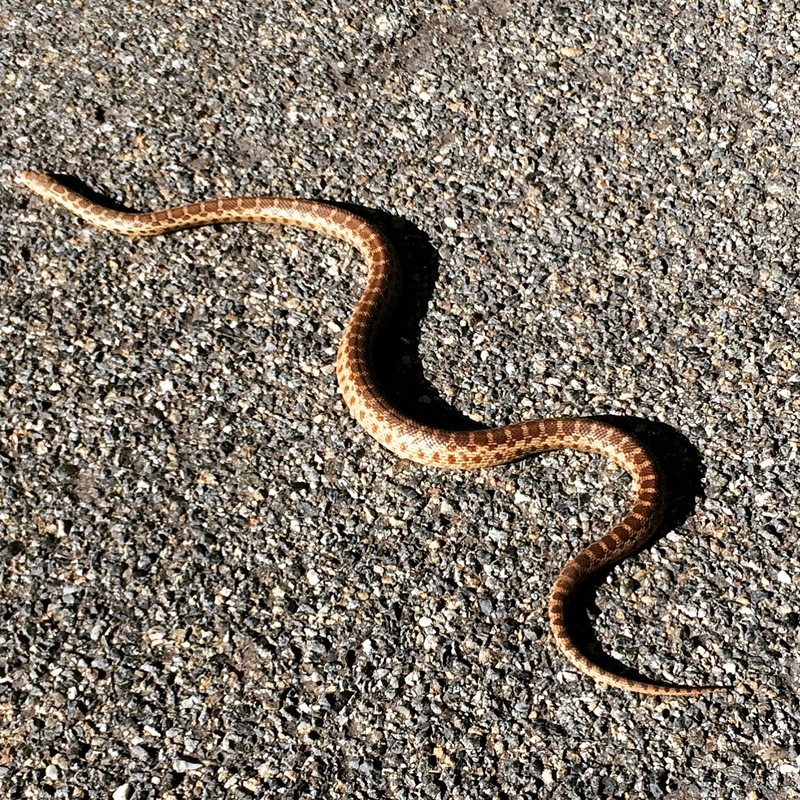 Snake paused then traveled with calm certainty to his destination across my path. The guidance was movement toward my heart’s adventure, my biggest transformation yet. Without fear and with certainty. Thank you snake! ?